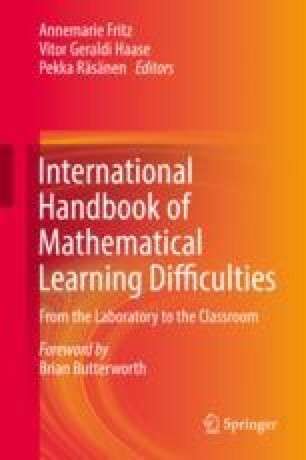 Math anxiety (MA), or the negative physiological, emotional, and cognitive states frequently aroused by math activities, is/are recognized as an important threat to human development and well-being. MA manifests itself at the cognitive (negative thoughts and rumination), emotional (negative affect), physiological (arousal, sweating), and behavioral (math avoidance) levels. We review current knowledge regarding MA as a construct and its genetic, personal, familiar, educational, and cultural antecedents and consequents. MA is both an antecedent and a consequent of low math achievement. MA leads to negative attitudes, beliefs, and avoidance of math, reducing math learning opportunities and constraining career choices. MA directly disrupts automatic and controlled numerical processing and calculations through several mechanisms: speed-accuracy trade-offs, competition for resources and faulty inhibition in working memory, attentional bias, maladaptive error responses, and complex arousal effects. A reciprocal inhibition between dorsal cortical areas associated with controlled and math processing and activation of ventral areas related to negative emotions has been proposed. Recognition of MA is based on observation and self-report questionnaires assessing its cognitive and affective dimensions. Currently, there are no external validity criteria regarding the severity level and psychosocial impact of MA. The role of negative experiences with parents and teachers as a source of MA and the ways to effectively prevent and cope with them are underlined. There is growing interest in the application of new technologies to relieve MA. The psychosocial relevance of MA is likely to persist, or even to increase, as our society becomes increasingly dependent on technology. Obs. References marked with # refer to self-report questionnaires presented in Tables 29.1, 29.2, and 29.3. Wu, S. S., Barth, M., Amin, H., Malcarne, V., & Menon, V. (2012). Math anxiety in second and third graders and its relation to mathematics achievement. Frontiers in Psychology, 3. https://doi.org/10.3389/fpsyg.2012.00162 #.